Get Your Application in for May 21! Got an idea for the Lansing region? Want a platform to share it? How about the chance to win over $100 to fund it? 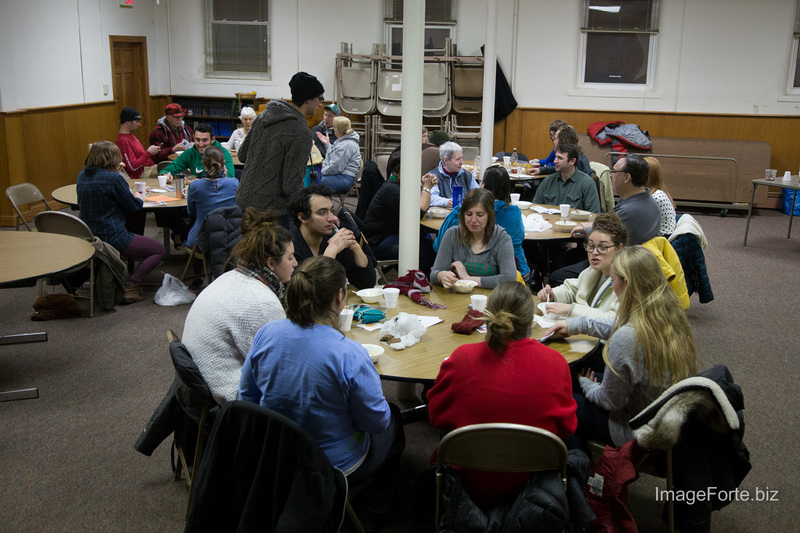 SoupGrant Lansing is a monthly crowd-funding event that takes place every 3rd Thursday at Grace Lutheran ELCA near the corner of MLK and Saginaw in the heart of Lansing. We fund diverse projects including start-ups, mom & pop ventures, neighborhood initiatives, school projects, and more. Our only requirement is that your project must, in some way, benefit the Lansing region (generally considered Eaton, Ingham, and Clinton counties). We are currently looking for folks interested in presenting their project at our May 21 SoupGrant. Want to apply? Applications are due May 1 and our contestants will be announced May 4. Got more questions? Take a look at our FAQs page. If you still can’t find the answer you’re looking for, e-mail us at SoupGrantLansing@gmail.com! We look forward to seeing you May 21 and sharing soup with you! Soup: best shared with friends. 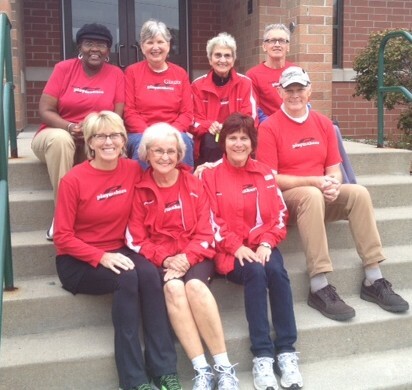 Team Playmakers at St. Vincent’s is a running and walking program at St. Vincent Children’s Home in Lansing. The home houses up to 40 abused and neglected kids at a time, ages 5 – 18. We train with the kids three days a week, and go to races once or twice a month. We use donations to pay for race entry fees, training clothing (such as shorts in the summer, and gloves in the winter), and program incentives (the kids get a small toe token for every five miles they complete, and when they get to 50 miles they get to dig in the Treasure Box!). Playmakers donates gently used shoes for all the kids. Why is the project important? How does it benefit Lansing? These kids have no one. They have no voice. They’ve been mistreated and have lived in many homes. Running and walking gives them a healthy outlet for their anger and frustration. But exercise isn’t what’s most important about our program, it’s that we show up consistently, and listen without judgement. When kids leave St. Vincent’s, they take new, healthy habits back into the community with them. We plant a seed, and in most cases, we’ll never have the opportunity to see if it grows, but we know some will. For all the details on our March 19 SoupGrant and to RSVP, check out our Facebook event page! In February, we took the month off from our usual format to focus on some of the work that our partners do in the Lansing community and to thank them for their continued support. 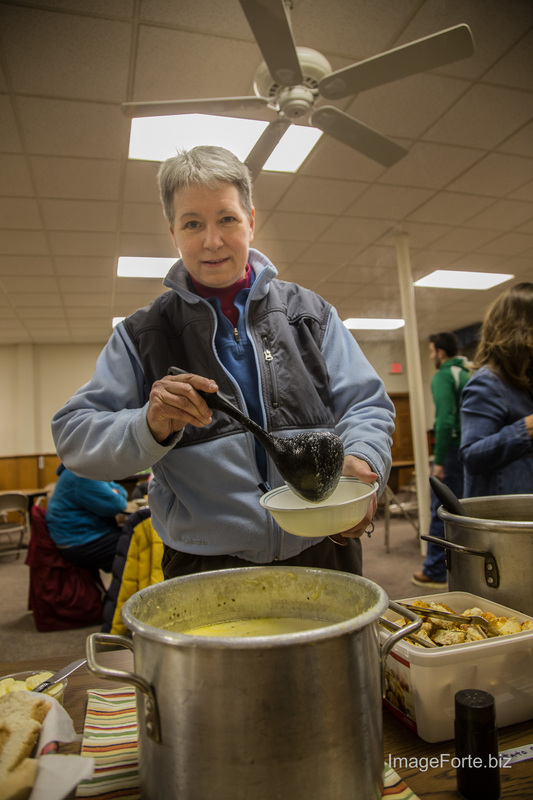 Chief among them have been Grace Lutheran ELCA and the NorthWest Initiative. 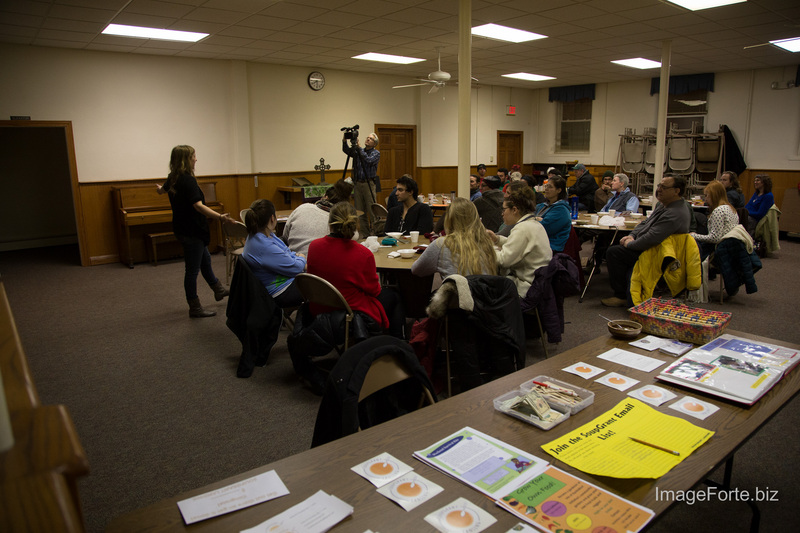 We invited Aliza to come talk to us about NWI’s continued work around town – more specifically, the Food Systems Project – and we also asked Pastor Dan to come talk to us as well. 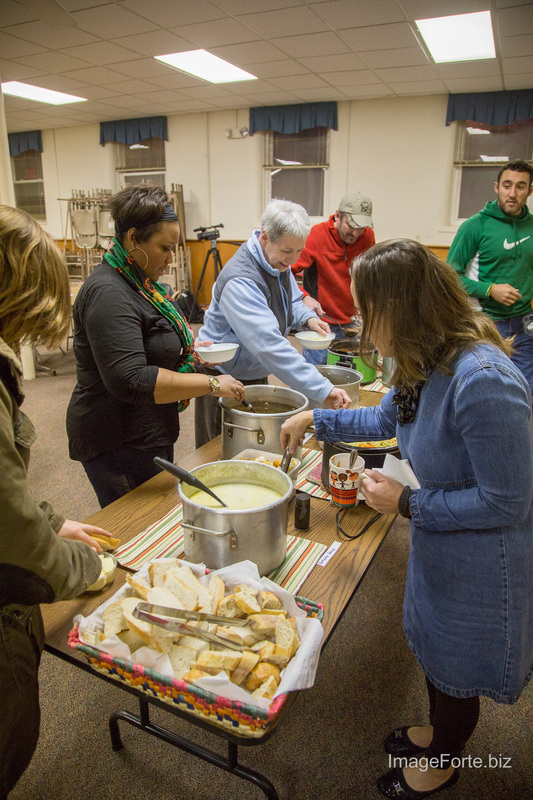 Grace Lutheran ELCA has been exemplary in seeking to participate in and love the community around them. 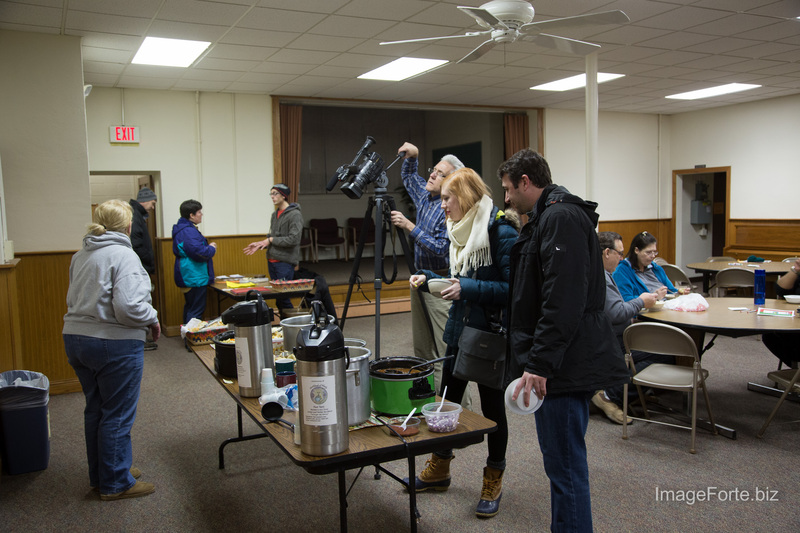 When we held our first fundraiser in the winter of 2013-2014, one of our goals was to get enough money to give a little back to them for all of their generosity towards us in allowing us to use their kitchen and basement facilities. They refused, insisting that they saw supporting us as a part of their way of giving back to the community. In January, we were upset to hear that one of the refugees housed on their campus had her car damaged during SoupGrant, so we decided it was time to do something to help them out. We raised $130 to go towards the repairs on the vehicle in question; in the event that the money is not needed, we have asked Grace Lutheran to keep it and put it to another good use. 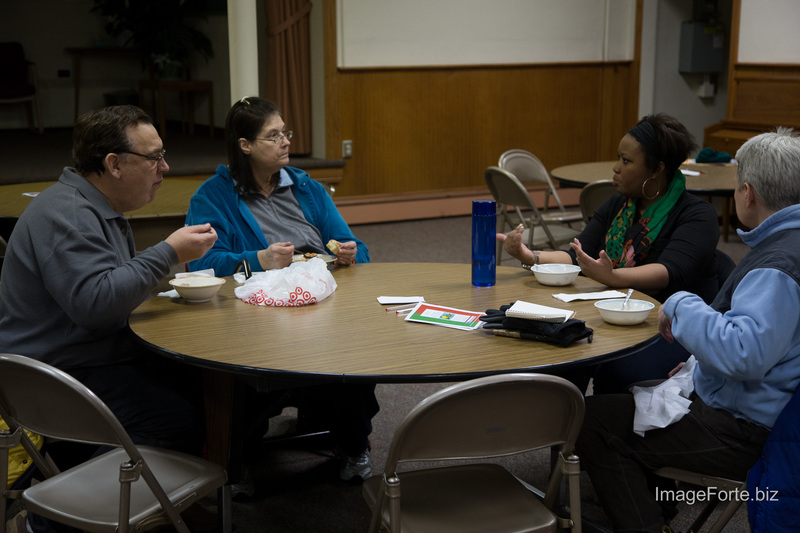 This month we also took some time to talk about our new Lansing Soup on the Move Meetup Group! We are hoping to use this new meetup group as a way to give you more ways to participate in the community, make new friends, and solidify our partnerships with folks around town. Check it out and let us know if you have any ideas for events that you would like to see happen in the future! 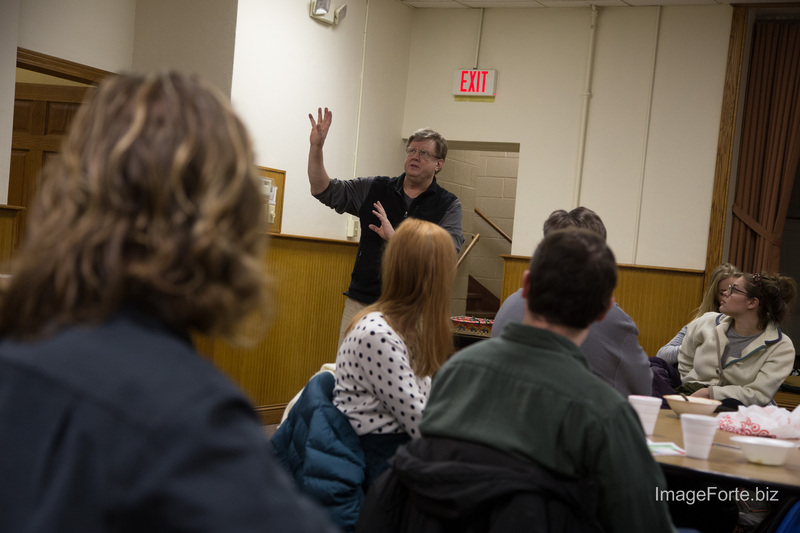 Special thanks to Mark from the Lansing Photo Meetup Group/ImageForte for these great photos! All photos are property of Mark Chamberlain. To see the full gallery, click here. 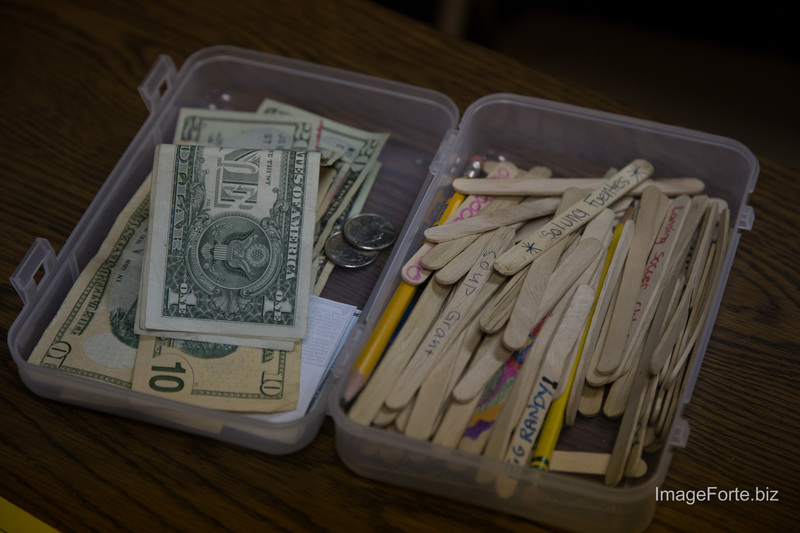 We raised $130 for our friends and gracious hosts at Grace Lutheran ELCA. 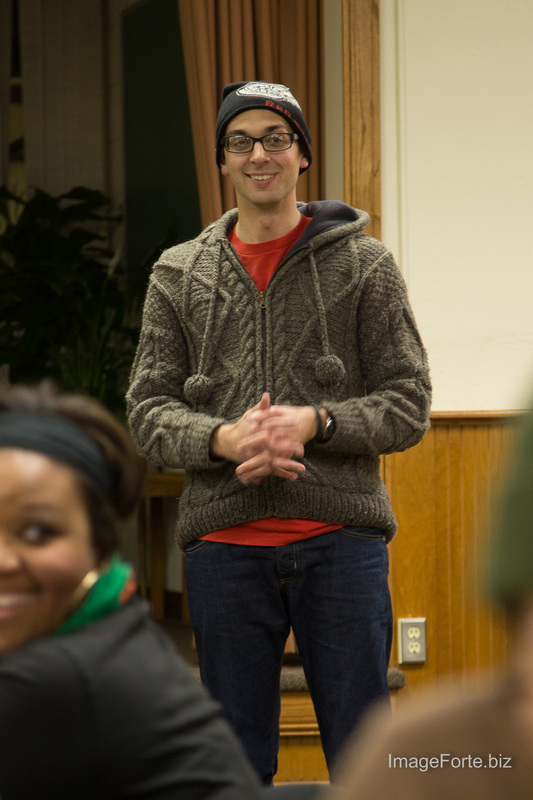 Joel talking about the new Lansing Soup on the Move Meetup Group. 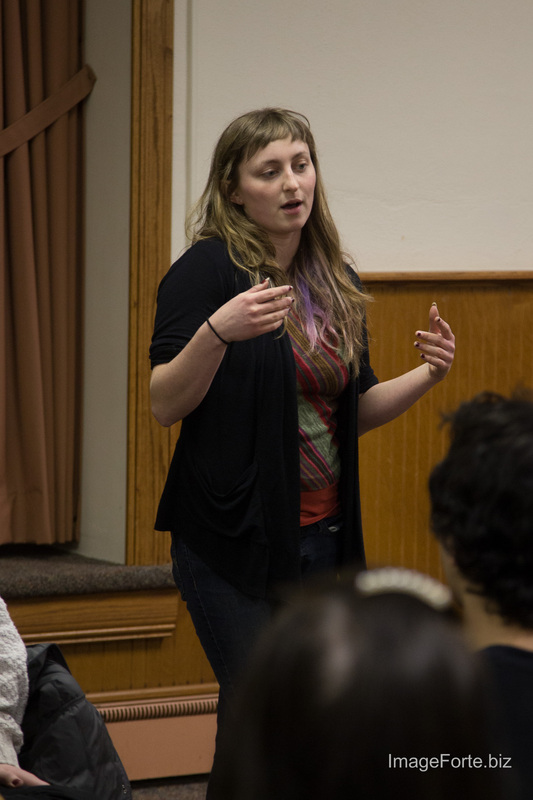 Aliza talks about NorthWest Initiative’s Food Systems Project. Pastor Dan from Grace Lutheran ELCA.